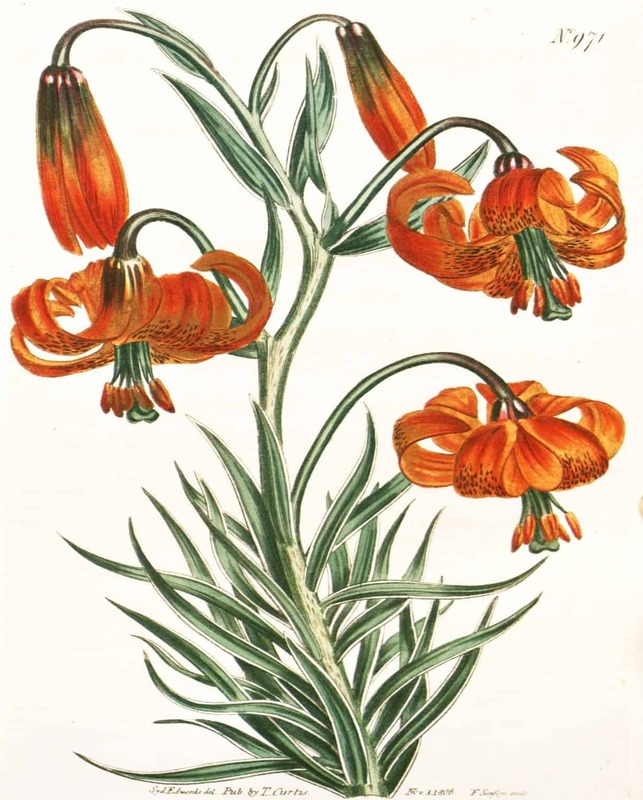 These illustrations are from the Curtis’s Botanical Magazine vs. 23-24. I retrieved them from the Biodiversity Heritage Library, where they have thousands of images from various magazines and journals. The images provided at this site are beautiful. I’ve saved over a hundred of these images and I’m in the process of grouping them into color groupings that coordinate well. 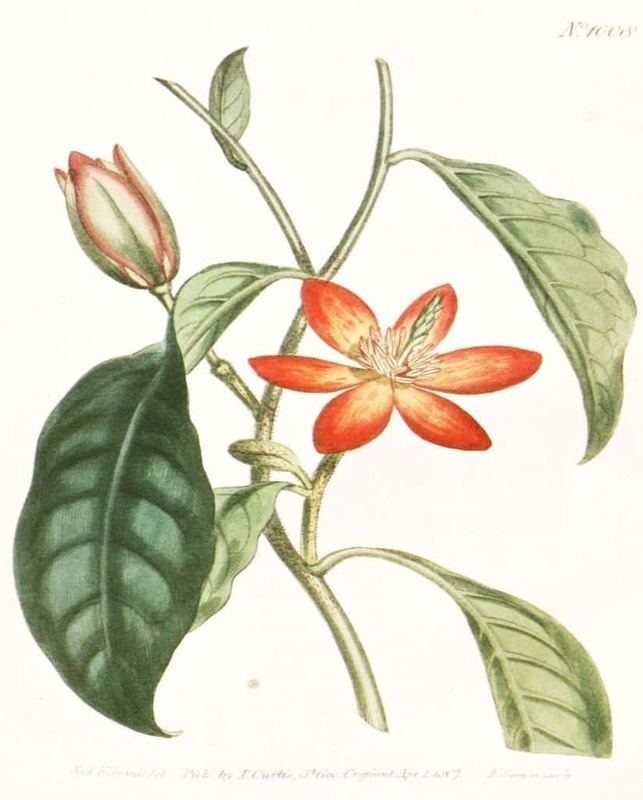 I came across these two images pictured above and I loved the orange. There were only two available with this hue of orange, but I thought these would be nice printed as an 11″ x 14″ or 16″ x 20″ and framed. I generally am inclined to group things in three, but i think on a smaller wall, these two prints would be gorgeous and would bring a nice pop of color to a room. If you look around on my blog under the printables tab, I have many more groupings to offer. These can all be printed at your local copy center for a very reasonable price. I use OfficeMax because it is close to our house. They charge around $.25 for a letter size colored print, $1.10 for a ledger size colored print, and $12.99 for a 18″ x 24″ poster. Framed art can be very expensive to purchase. This is such an economical way to bring colorful art to your home. I normally buy larger frames from Michael’s. I think their prices and selection are good, and they often have 50% sales on their frames. I don’t buy the frames until they are 50% off. Now, as for how to print these images. I’ve done some color correction to these images and saved them as Powerpoint files which are formatted to be printed for standard paper and poster sizes. You will need to either upload the Powerpoint files to the copy center’s website, or you can e-mail these if that option is available. I e-mail the files that I’d like printed to OfficeMax. This is the method that was preferable for them. You can call up your local copy center and ask for their preference. The files have been formatted for an 8″ x 10″, 11″ x 14″, 16″ x 20″, and 18″ x 24″ frame. The 8″ x 10″ image will be printed on letter size paper (8.5″ x 11″), the 11″ x 14″ image will be printed on ledger size paper (11″ x 17″), and the 16″ x 20″ and 18″ x 24″ images will be printed as an 18″ x 24″ poster. If you have any questions, please leave it in the comments and I’ll try to help you out. I’ve also included the jpeg files in case you’d like to do something else with these images. Enjoy! Click on the images below to open the jpeg file. Click on the file below to open it. Save the file to your computer and print it on Letter size paper (8.5″ x 11″). Thank you for stopping by! If you’d like to see any more things that I have to share please like my Facebook page or follow my blog via wordpress or e-mail (below). If you would like to see what inspires me you can follow me on Pinterest. 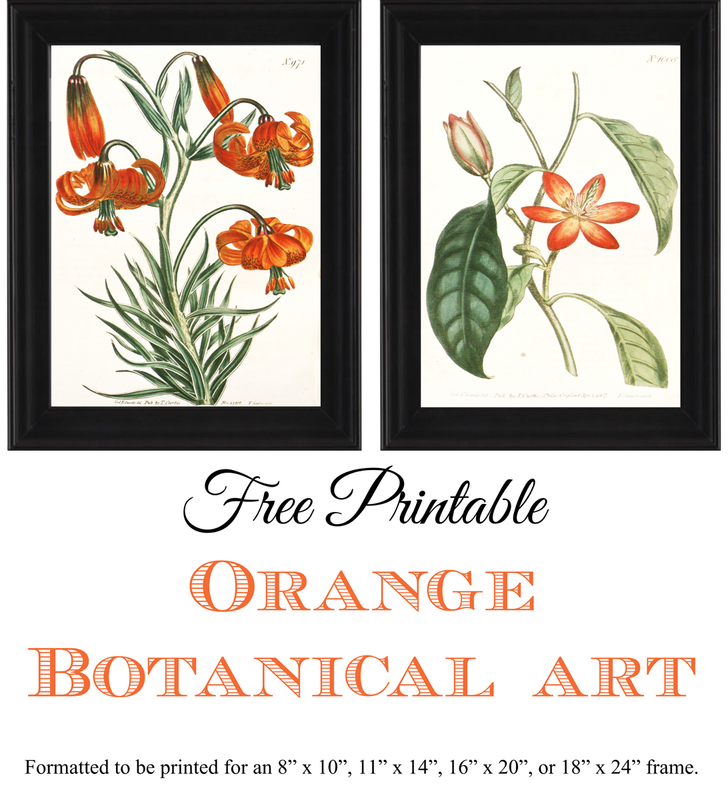 To see more botanical printables I have to offer you can click on the Printables tab at the top of the page.